Hope for a Home is dedicated to assisting families both financially and emotionally throughout their adoption processes. Many families feel called upon to adopt but are unable to do so due to financial constraints. Hope for a Home is dedicated to financially and emotionally assisting families throughout their international adoption processes. We give these families love and hope- the most powerful gifts. 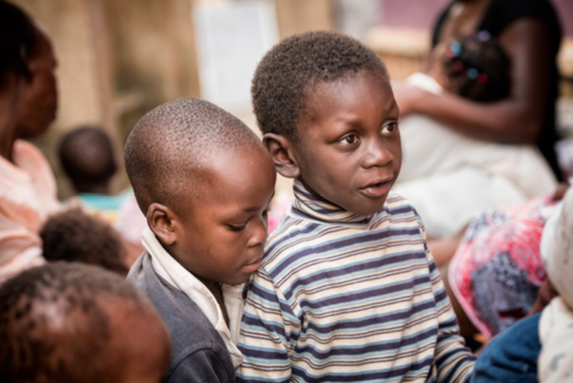 Together we can change the world, one child at a time! It's not possible to put into words what this BLESSING means but we're going to try. 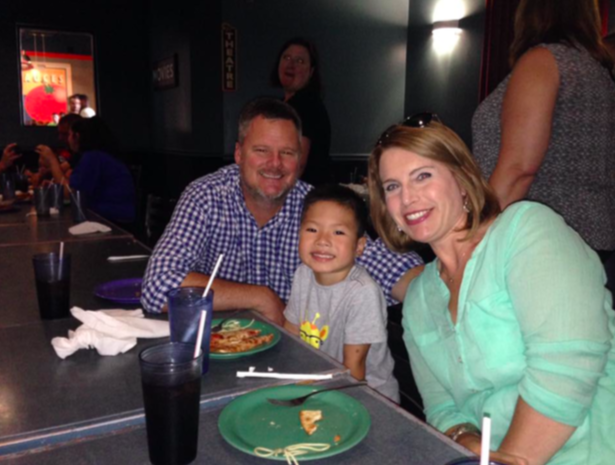 Our adoption journey started out unexpectedly and unprepared so money has always been a factor. We sold anything of value to say yes, to bring him home and to care for his health needs. It's by Gods grace we have made it this far and have our amazing Lenox in our arms. Please know it was never our intent or want to leave our amazing Nightlight family unpaid for this. We have spent many days (and nights) worrying about how the funds would come about. It seemed everytime we had some saved Lenoxs health would fail and the funds had to be used. This blessing would have been much appreciated at any stage of our adoption but now it means so much more. We do not know how long we will have our sweet Lenox. Between his liver disease and other health issues our time is more than likely limited with him. With this blessing you have taken a huge burden off our shoulders. Your blessing will allow us to focus on him, our time together and his healthcare instead of constant financial worries. That's something thank you just doesnt do justice. Please know your thought, work and blessing are life changing. THANK YOU from the bottom of our hearts! When we first met Aiden on Gotcha day in China, we were overwhelmed, to say the least. Feeling of love and relief because you have been waiting all these years to hold this child. In the summer of 2014 Birhanu's life would change forever. Mariana, a 12-year-old girl who was considered to have little worth because of her visual impairment, wondered if she would ever find her forever family. The adoption organization observed that she was extremely ill, withdrawn, and forgotten. She lived in a foster home with 8 other children but was not allowed the chance to receive an education or the medical care she desperately needed. Marianna was not allowed to go to school because her foster mother told her “it was too dangerous”, however, there was another blind girl in that same home who was attending a special school for the blind. The answer was never clear as to why they allowed one girl to attend and Marianna was forbidden. It became apparent to the adoption agency that Mariana was kept at home to help clean, cook and care for the other children in the home. She was withdrawn and held her head low, barely responding to the people trying to find her a forever home. The adoption agency knew it would be difficult to find a family for her but a family in Kentucky was drawn to her, even after finding out how impaired, withdrawn, uneducated, and forgotten she really was. 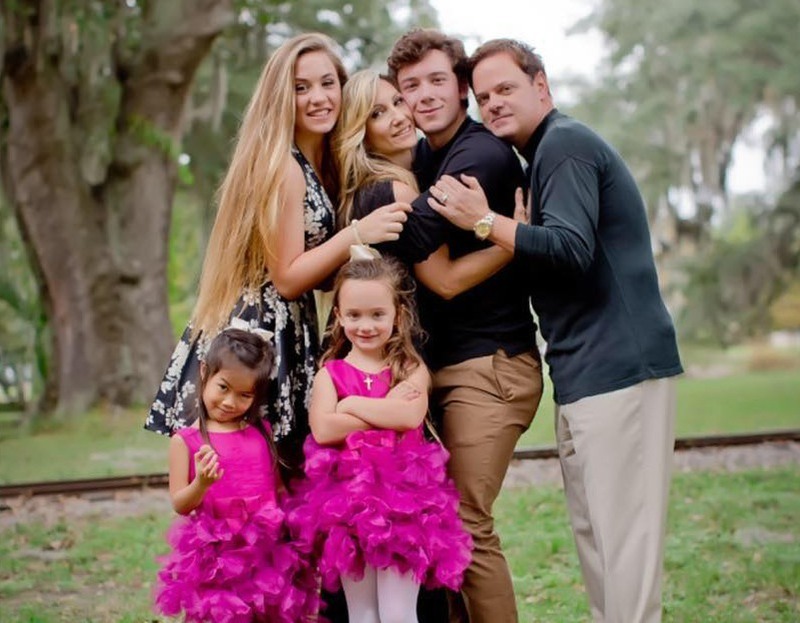 Kevin and Angela and their two children are very excited to bring Marianna to her forever home, Kevin works in construction and Angela is part-time Military. They received the opportunity to host Marianna for two and a half weeks during the summer and bonded very quickly. 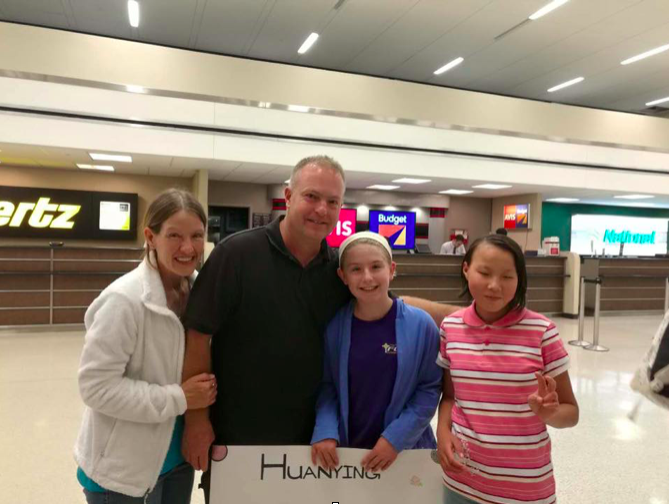 When Mariana got off the plane in Lexington, Kentucky, she was a completely different child from the one we had met in China. She was holding her head up and was eager to meet her host family. She spoke when spoken to and we could tell within a few moments that she was able to see some, shadows or brightness, we still aren’t sure, but she is not 100% visually impaired. Her family will take her for full evaluations when she arrives home to see if anything can be done to improve her vision. We know for certain that she has cataracts however, she has had them from birth. Her forever family is still in need of around $9,000 to help them with the cost of finalizing the adoption. We are praying they will be able to bring their daughter home in about 6-7 months! In 2004, I found myself hurting and helpless as I gave birth to my second son, Johnathon Joseph. He lived for one hour due to Potters syndrome, a condition to where the kidneys do not form. Two years later I gave birth to my 3rd son, Joseph Jerimiah, who lived 7 hours due to the same condition. My husband and I hoped to have four children and at that time we had one girl and one boy. 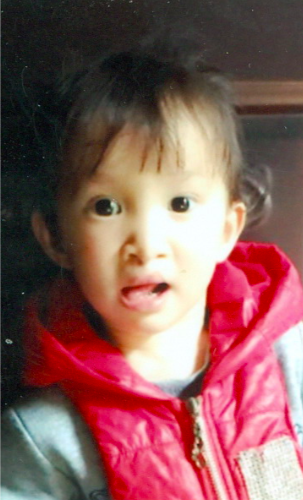 Our hearts were crushed through the loss of our boys and the heart of adoption became ours in 2005 when we began moving toward adopting a little girl from China. We realized that all children belong to God and having gone through the loss of two sons, we saw the value in every child’s life. We waited 7 years for our adoption to become a reality. While waiting to go to China to pick up our baby, God blessed us with another daughter that I miraculously gave birth to in 2010. We traveled to China in 2012 and got to hold our baby girl Annahstasia for the first time. Later that year we were able to bring our baby girl home. Love is the most powerful thing anyone of us can give to another, it is life changing. Adopting our daughter from China is one of the greatest things we have ever done because we have seen first hand the power of family. We changed her life and she in turn changed ours and we are so grateful! After visiting our daughter’s orphanage, I wanted to take every child home but I knew I couldn’t. I realized on my journey of adoption how many families want to adopt but are unable to because of lack of funding. This is where Hope for a Home began and we having been helping children find their forever families since. James and Hannah are parents of one biological child who has Autism. They are very positive people and after making the decision to adopt, they decided to bring home another child with special needs. They are adopting a l3 year old ittle girl from China, Lui, but will call her Shiloh. Shiloh has a repaired cleft lip and palate and the file mentions that she may be nonverbal at this time. Their previous experience with their son makes them very optimistic that they can handle whatever is thrown at them and give this little girl a family that will love and care for her. This family has been faced with a roadblock due to finances and are currently under a time crunch. They are considering taking out loans to pay for the rest of their adoption because at this point in the process, China will not allow holds or delays. They are aware of the time frame they have to pay for their baby girl and their financial situation. James and Hannah have received their Letter of Acceptance from China. They will be working through the travel process and should travel sometime in March or early April. Mesfin was an orphan boy found in the slums of Ethiopia. He was brought in and given clothing, food, a safe place to live, and a chance to receive an education. 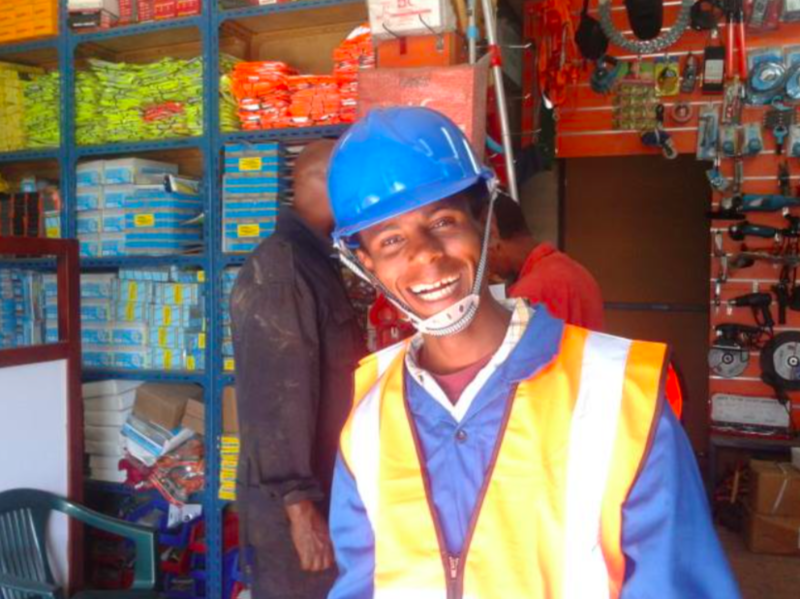 We were able to rent a small, one room apartment for Mesfin with the funds raised. 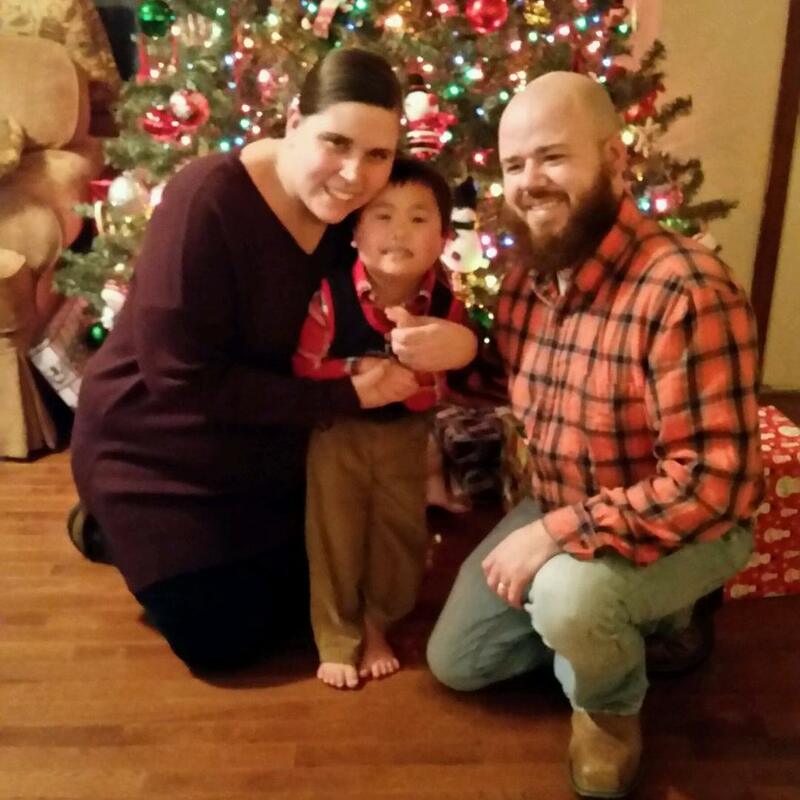 Noah is a little boy we were able to help by joining him to his forever family in Kentucky. 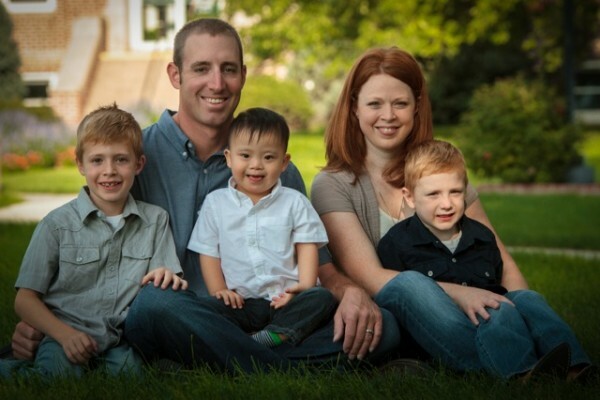 This family began the adoption process in 2011 and Noah finally came home in 2013. Noah has a partially missing, malformed leg and foot. He attached, very quickly, to both his parents. He has been fitted with a prosthetic leg and played in his first soccer season this year. He is 4 1⁄2 years old, loves his family, and loves school! Enqi is a little boy, with downs syndrome, from Hong Kong who was almost put back into the system after a family decided not to adopt him. Through the support given by the 2013 luncheon participants, this little gift was adopted by his forever family! First, a little bit about Dacheley, our son waiting for us in Uganda. He is believed to be 6 years old (based on his height and weight when found abandoned outside of a police station a little more than a year ago). When found, Dacheley was unable to walk or speak and was severely malnourished. Over the course of the last year he has learned to walk unassisted and has made some progress as far as learning to eat and gaining weight! Unfortunately Dacheley still cannot speak. He is in serious need of many different therapies and medical attention. Since he is of school - going age, we worry about the toll that his inability to speak will have on his future. Nightlight is doing a wonderful job keeping us updated on Dacheley's progress. Words cannot describe how we long to hold him in our arms and get him the medical attention that will secure his future. It was shortly after our 5th child’s birth that we felt His call on our hearts towards adoption. In November of 2014 we stepped ouSt ofhouar croemfort zone and into His plan. We saved the money for our initial application and administrative fees and began the home study process. When we were matched with Dacheley (in April) we were told that he could be home in as little as nine months, depending on how fast we could gather the funds. He is the missing link in our family and we need help getting him home.